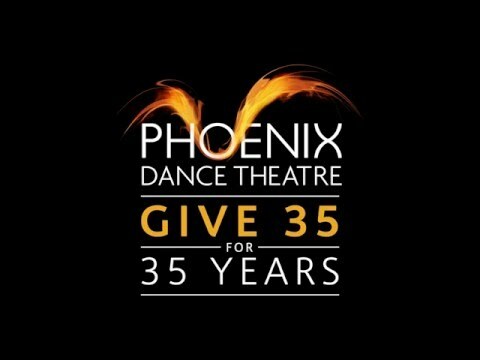 For over three decades Phoenix Dance Theatre has performed, educated and inspired people across the globe, often taking dance to people who have never experienced the Arts live before. This work could not have been achieved without the generous support of individuals, trusts and businesses. Even a pound can buy vital equipment, like the tape our dancers use to tape up their toes (and believe us they get through A LOT of it!). £50 pays for a physiotherapy session to keep one of our dancers dancing! £250 pays for a half day dance workshop for young people. £1,000 pays for residency with a new choreographer. Whether you feel able to give £1, £100, £1000 or more as a one-off gift or a regular annual commitment, all donations are gratefully received and help us keep producing diverse and dynamic dance programmes on stage and in schools. Made payable to Phoenix Dance Theatre, and sent to the postal address listed below. If sending a cheque, please send details of your address so that we can acknowledge your gift.